Large One Bedroom updated condo within walking distance to Light Rail and new Shopping Center being built! This unit has a full size walk in Laundry Room and storage. This is unit is ready for you to move in! It has new carpet, new paint, updated kitchen and updates in bathroom. 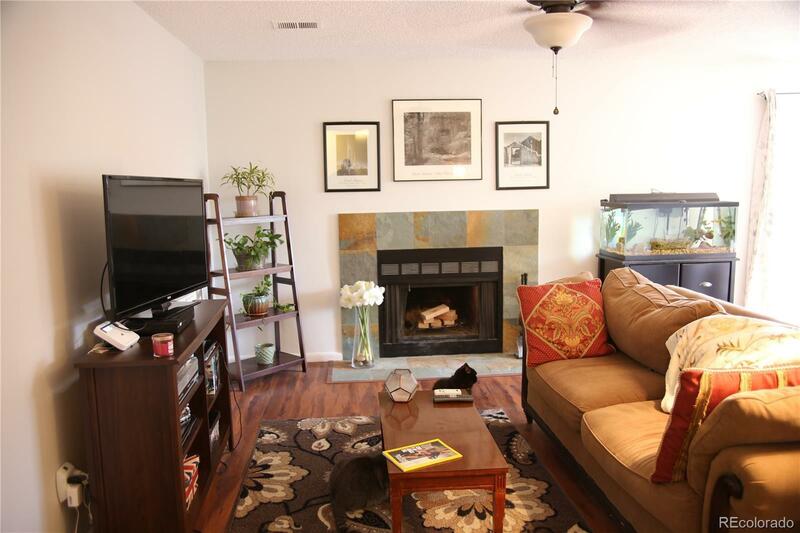 Open floor plan with wood burning fireplace and reserved parking spot. Situated close to light rail, DIA, DTC and Cherry Creek State Park all located in the Cherry Creek schools district. Call to scheduled your appointment today!